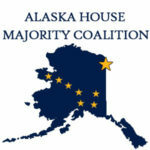 Juneau – The Alaska House Majority Coalition will hold a press availability Tuesday morning to answer questions from reporters covering the 30th Alaska State Legislature. Participants will include Speaker of the House Rep. Bryce Edgmon (D-Dillingham), Majority Leader Rep. Chris Tuck (D-Anchorage), Majority Whip Rep. Louise Stutes (R-Kodiak), and Finance Committee member Rep. Scott Kawasaki (D-Fairbanks). The press availability will be held at 9:00 a.m., Tuesday, April 11, 2017 in the Speaker’s Chambers of the Capitol Building in Juneau.